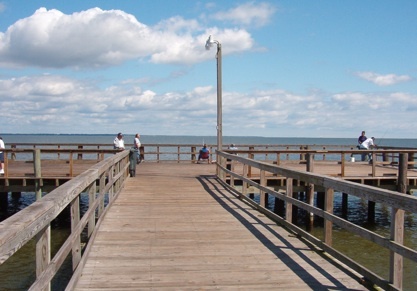 Call ahead to get a feel for the conditions, or check the Fishing Reports page before you head out to the pier. Info can also be found by contacting the Potomac River Fisheries Commission at 222 Taylor Street P.O. 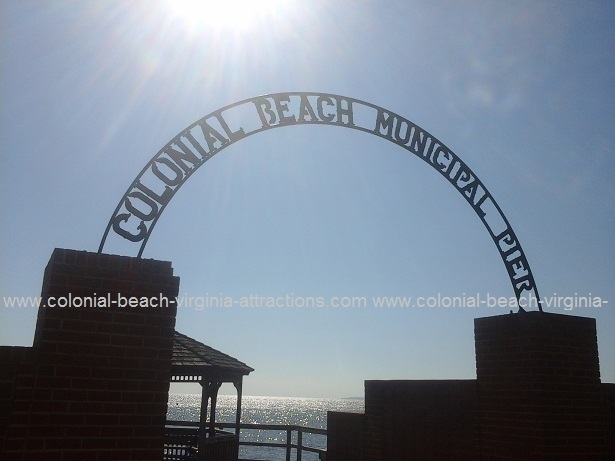 Box 9, Colonial Beach, VA 22443, (804) 224-7148 or toll-free (800) 266-3904. Licenses can be obtained at the PRFC office Monday thru Friday from 8:30am - 4:30pm. Here are the 2016 size/possession limits in PDF format. You can also check with Marine Resources or local tackle shops for fishing regulations. Ken's store can help you get set up. Ken's is a Game & Inland Fisheries Agent (also sells freshwater/saltwater recreational fishing and hunting licenses). Ken's is an MRC Automated Agent, meaning they can run the automated licensing system for MRC licenses; they are the only agents that can sell restricted licenses like crab pots and fixed fishing device licenses (pound nets, fyke nets, staked gill nets, crab traps) and the new aquaculture licenses. Not far from Ken's is the Colonial Beach Yacht Center at 1718 Castlewood Drive, next to Dockside Restaurant. They can often help with licenses, or check online with Virginia Department of Game and Inland Fisheries. Items to take with you for a fun day include your gear (rod, reels, bait, knife, pliers, tackle, etc.) as well as sun protection (sunglasses, hat, sunblock, etc.) and don't forget the munchies! Bring a cooler with ice and your favorite snacks and drinks. You might also like to have a camera with you to have a visual record of your fun time out on the pier. From Route 205, turn onto Colonial Avenue there at the McDonald's, then take a right onto Washington Avenue at Hunan Diner. Make a left on Hawthorn Street at Shady Lane Crab House and you'll see the pier at the end of the road. From Colonial Beach, take Rt. 205 towards Oak Grove, turn left onto Rt. 3 and follow the signs. Improvements were completed in 2001. The ramp is handicap-accessible and is open to all users of the Park. 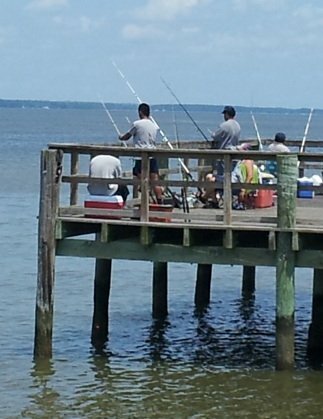 Types of fish often caught here are croaker, spot, white perch and striped bass. The site is also a good spot for crabbing. The Park offers restroom facilities and a snack bar (seasonal). 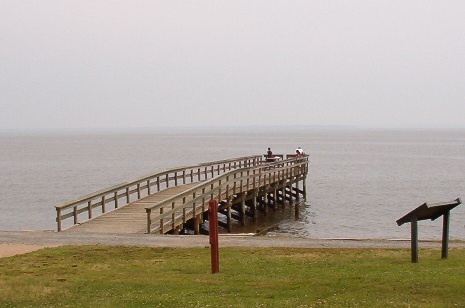 Boat ramps at the Park provide access to the upper and middle Potomac River. Cat Point Creek Heritage Park Resort Pier 2570 Newland Road, Warsaw, Virginia 22572. From Colonial Beach, take Rt. 205 towards Oak Grove, turn left onto Rt. 3, turn right onto Flat Iron Road and follow the signs to Heritage Park. Virginia Beach Fishing Pier 14th Street, Virginia Beach, VA 23451 phone (757) 428-2333 or e-mail vabvc@vbgov.com. On the boardwalk in a resort area. No fishing license required. Hours vary depending on the season. Pier operates from April - October. Call for fall/spring hours. Open 24/7 from Memorial Day to Labor Day. What pier fishing setup do you use? What's your setup look like for pier fishing? If you've got a picture, include that too. Had a great day when this was caught! My tip? Come early and be patient!! You can also go out on the water with firms like Potomac River Charters.